The tool offers users the option of monthly, quarterly or annual plans for every one of its tiers. The least expensive plan is the one for 500 contacts goes for an annual fee of 149 dollars, 49 dollars per quarter or 19 dollars monthly. The company adds ten dollars to the normal rate for one to expand to 2500 contacts and 30 dollars for one to expand to 5000 users. It sets the user up for automatic billing but if one changes their mind, the company offers a 30 day full refund. There is also a 29 dollar report on how to develop an email marketing strategy, which one can easily buy by mistake. With Aweber, one can manually add up to 10 contacts through a form manually. Every record has the name, email, name of the initial email message the individual will receive and their ad tracking value. For those with a long list of names, this can be especially tedious. However, there is a useful import tool with a textbox that allows the user to cut and paste a whole comma-delimited list of addresses. One can also upload a spreadsheet or text file. Unlike other industry competitors, the tool does not have third party integration which can allow users to import contacts. However, users can export their Gmail contacts into a .csv file and then use the import tool. Additionally, one has to inform Aweber where the subscribers originated from- whether they bought a product and chose to receive mail, gave verbal agreement or signed up on a form. The tool will also want to know whether list is coming from another email marketing service provider. The general aim is to make sure one is not spamming or buying lists. It then auto creates a confirmation message which is then sent to subscribers in order to verify their subscription. During the creation of the subscriber list, one has the option of either using a pre-generated subject line or creating one’s own. However, when one creates their own, they have to wait a day for it to be verified by the Aweber team as valid. The tool treats emails differently, with different processes for creating follow-up series every time a new subscriber is added. After creating and sending a broadcast, one can easily track its progress through the reporting tool. 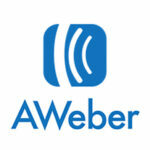 Aweber also has excellent customer support, with numerous video tutorials available should one get stuck. With Aweber, a user can be able to edit a template to structure it in their own mode and design. It is this aspect that builds a customization process that gives the tool a personalized setting. In this, a user is able to create the email marketing campaign that is unique and in their own liking. Image hosting in an email marketing campaign is very important since it ensures that a client is able to have a preview of what they expect to get. With the tool offering a hosting platform for up to 10MB of file size, a user can be bale to incorporate the images that will work for them in their campaign. Users also get to choose from the pre-set images which is fundamental in getting beginners started. This is one of the strengths that the tool brings out since it is able to integrate a social media marketing platform where a user is able to create and manage an effective campaign. With social media marketing, more potential clients are reached which makes for a faster process of achieving the goal of effective marketing. This is another major advantage that users are exposed to with this tool since it allows a user to have an auto-response setting that gives details on the progress of the marketing structure. The autoresponder also guarantees that no ineffective email marketing process is established which will limit the efficiency of the tool. 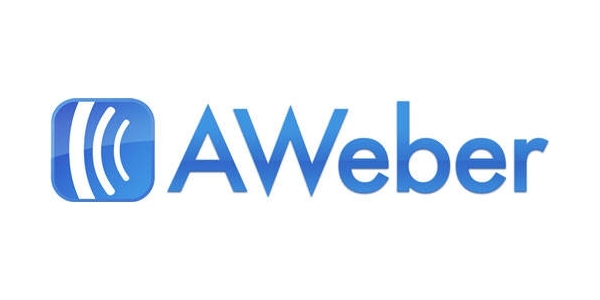 Aweber offers users the chance to get access to surveys that can aid them build a successful marketing campaign. The surveys are responsible for providing data on how the email marketing process can be optimized to fit the target market and hence deliver the traffic required while building sales. The integration to the RSS feeds is fundamental to the success of the strategy of email marketing since it is responsible for building a setting whereby appropriate data on the success of traffic generation is sourced. This ensures a user is able to monitor their trend and progress with ease. Google analytics are very important since they give an individual the chance to identify exactly where they stand in the marketing niche and what they must do to impact the niche through keyword usage. Google analytics provides useful data which users can utilize in optimizing the strategy for marketing. The spam score checker is a peculiar tool that users can take advantage of in identifying whether the email strategy they have chosen is making the desired impact or if it is being considered as spam text by the search engines. The spam score checker is also helpful in limiting the penalties that a user can shoulder due to mass input of emails which are disregarded. This is a weakness in Aweber that needs to be addressed since most users may be willing to consider the survey but lack the appropriate support to get the best experience from the same. This tool lacks the expansive capacity to handle an effective social media campaign which makes for a disadvantage as other tools are able to handle this quite effectively. With this tool, third parties are needed to manage some aspects of its working like social media marketing and surveys.